Viper progress 1-0 on aggregate. Vipers SC defeated SC Villa 1-0 on Tuesday evening, to progress to the Stanbic Uganda Cup finals 2018. Substitute Brian Nkuubi’s second half free-kick was all that the Kitende based side required to inflict the desired damage onto the Jogoos in an eagerly anticipated encounter. Despite the fact that the build up to match day was dominated by claims that Villa fans were going to boycott the game, several Jogoo faithfuls turned up to witness the encounter. Before the match, there was drama as SC Villa’s team bus was blocked form accessing the stadium parking lot for close to an hour. The match kicked off under a slight drizzle of rain with Vipers’ Portuguese coach Miguel Da Costa turning into a ball boy of sorts the early exchanges whenever the ball went out of play near the touch-line. Viper went out of the blocks strongly as striker making the first two attempts on goal. 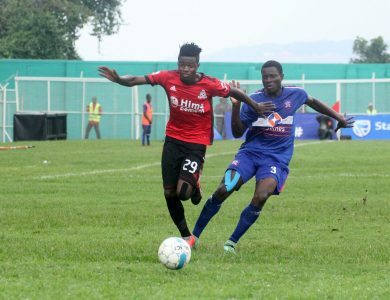 First, Ssekisambu connected neatly with a Moses Wasswa free-kick but the ball sailed over for a goal kick only six minutes into the game. Four minutes later, the former SC Villa player unleashed a fierce shot from outside the box but failed to trouble Simon Kibumbi in the Jogoo goal. Villa’s first attempt on goal after 20 minutes of play, saw winger Martin Kizza force a save from Vipers’ custodian Ismail Watenga via a free-kick. SC Villa had a golden opportunity to take the lead a few minutes later when Mahad Kakooza tapped wide from close range with Watenga beaten. As the first half neared its climax climax, SC Villa’s John Adriko missed a free-header following a teasing free kick from Martin Kizza. In the second half, it was a slow start for Vipers SC as compared to the first. Winger Milton Karisa limped off after a collusion with left back Arthur Kiggundu but returned, much to the relief of the Vipers’faithful. Villa took charge of the game and Kizza would have caused havoc had he not hesitated to shoot inside the goal area with five minutes played. On 56 minutes, Villa midfielder Abel Eturude shot wide from distance. Four minutes later, Kizza had a shot saved by Watenga to win a corner as the Jogoo stamped their authority on the game. Allan Kyambadde headed the resultant corner on to the bar for arguably Villa’s golden chance of the game. Vipers made the first change of the game with midfielder Brian Nkuubi replacing Waiswa in a precautionary measure because the latter had been booked already. The decisive moment of the game on 69 minutes when referee Emma Kiweewa judged that Karisa had been fouled just outside 18 yard box, a decision bitterly protested by the Villa players. Nkuubi expertly curled home the resultant free-kick, coming of the foot of the upright before rolling into the net. Villa pushed numbers forward and also sent on striker Yubu Bogere in place of left back John Adriko. Vipers suffered a set back when their captain Wadada limped off 13 minutes from time and he was replaced by midfielder Tom Masiko. Another SC Villa center forward Alex Ssemuyaba replaced midfielder Abel Eturude with less than five minutes to play. Karisa had an energetic lung-bursting run down the right but his final ball was well tamed by Kivumbi in the Villa goal. Referee Kiwewa finally blown for full time which many that Vipers had qualified for the final. They will now take on KCCA at the Emokori Playground on Saturday evening. The Venoms who won the league this past seasin are seeking to emulate their Saturday opponent’s triumph last season which saw the Kasasiro Boys win the league and cup double. Tuesday’s result also means that KCCA FC will represent Uganda in the CAF Confederations Cup next season, regardless of the finals’ result. 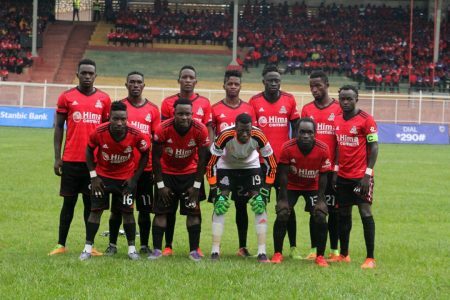 Vipers: Ismail Watenga (G.K), Nico Wakiro Wadada (Captain), Yayo Lutimba, Halid Lwaliwa, Bashir Aisku, Geofrey Wasswa, Milton Karisa, Moses Waiswa, Dan Sserunkuma, Duncan Sseninde. 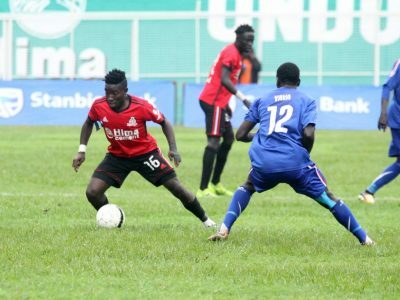 SC Villa: Samuel Kivumbi (G.K), Joseph Nsubuga, John Adriko, Isa Lumu, Henry Katongole, Bernard Muwanga, Abel Eturude, Mahad Yaya, Allan Kyambadde, Arthur Kiggundu, Martin Kizza.